Cyclewales are proud to have the status of Learning Provider for Enhanced Learning Credits. As a company we specialise in Cycle Maintainance Training, and have been offering this training since 2003. The world of cycling is rapidly expanding and although the internet can be seen as killing many small shops when it comes to bike sales and accessories the servicing and repair side of the business is growing at a rate. A good mechanic with good knowledge of bike systems and a willingness to keep on top of new technologies will always be in high demand. At Cyclewales we aim to give you the skills, knowledge and support to develop into this role. We also offer a work experience placement at our workshop for individuals following their course completion. 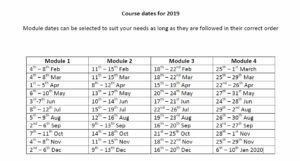 This is the highest level achievable in Cycle Mechanics and is awarded through the Institute of Motor Industry (IMI), the course runs over 20 days and we run them in 4 modules of 5 days each, giving you the option of doing all 4 weeks at once or spreading them over a period of months.